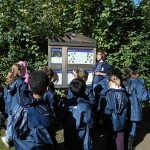 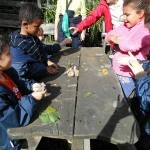 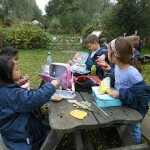 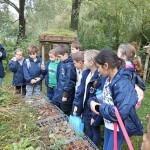 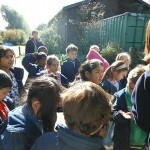 Class 3 visited Sevenoaks Wildfowl Reserve to attend a workshop investigating rocks, how they are formed and their uses. 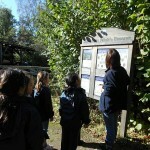 Upon arrival, we were asked observe where rocks had been used and to identify their purpose. 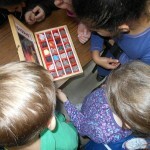 We were then shown different rock samples which we were asked to classify into “hot” and “cold” rocks. 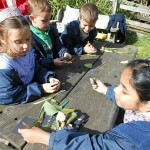 The children enjoyed looking at the samples through their magnifying glasses. 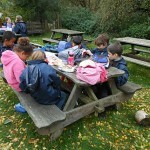 Many of us were surprised at how many different coloured rocks there were and we impressed the group leader with our knowledge of the terms sedimentary, igneous and metamorphic. 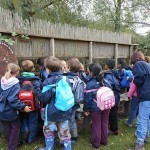 We then went on a walk to see how the river erodes rocks and moves the pebbles and sand downstream, whilst collecting small rock samples along the way. 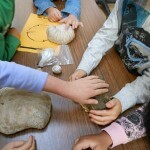 Just before lunch we looked at different fossils and discussed how they are made and which type of rock we are most likely to find them in. 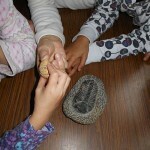 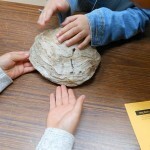 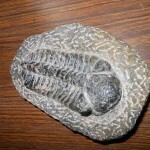 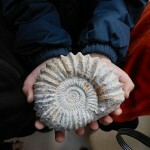 The highlight for many children was making their own fossils.